We invite everyone to visit our open house at 722 Huntwood on March 13 from 1:00 PM to 3:00 PM. Wonderful Ralph Fornier designed 3500 sq. ft. home. We invite everyone to visit our open house at 11904 Claychester on October 10 from 1:00 PM to 3:00 PM. Craig Forest Lane, Kirkwood - We invite everyone to visit our open house at 884 Craig Forest on September 12 from 1:00 PM to 3:00 PM. Kirkwood, St. Louis County - We invite everyone to visit our open house at 614 W. Jewel on August 15 from 1:00 PM to 3:00 PM. 11904 Claychester - We invite everyone to visit the open house on July 25 from 1:00 PM to 3:00 PM. 11904 Claychester - A truly stunning example of Burton Duenke’s classic mid-century modernist style but on a much larger scale as this one has over 3500 square feet of living space on an incredible ½ acre lot. Duenke's post-and-beam homes were built to maximize the sense of space through vaulted ceilings, tall windows, and open floor plans. If you are unfamiliar with Modern Style, just think of the sleek, high-end sophistication of the Rat Pack in front of the sweeping Sands Hotel sign in Las Vegas and you'll start to understand. It links you to an era where you can order an "Old Fashioned" at a swank red booth restaurant and where home still is a place of modern luxury and convenience. Upon entering the home you’ll be struck by soaring ceilings and the rosewood, pine and other natural materials throughout. You’ll also fall in love with the huge windows and the open staircase that winds around two fireplaces which span the height of the vaulted pine ceilings all the way to the second floor loft. Upstairs is a second family room area overlooking the great room and opening to the park-like backyard that backs to St. Clemens parish/school. In the bedrooms high strip windows allow free arrangement of furniture without cutting out light and air and ensuring privacy from the neighbors. The baths were also just completed and feature dal tile and modern clean lines. The master suite has its own private bath, two additional bedrooms share a luxurious new bath, and on the main level is another new modern guest bathroom. Upstairs there is also a huge flex space consisting of two very large rooms that could make for an even more incredible master suite, home office, or recreation space. The redesigned eat in kitchen is sleek with white cabinets and black countertops and is filled with natural light. It includes a huge breakfast/hearth room that will become the center of daily life. Nearby the great room features a new theatre surround sound center, a two way fireplace, and new flooring. 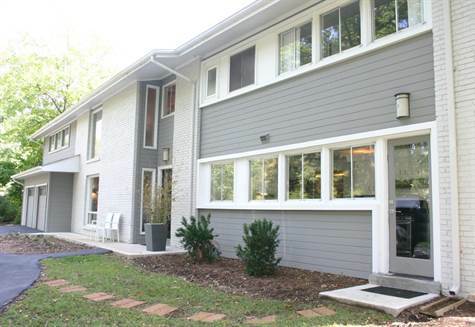 Elegant Kirkwood Condo Open Sunday 7/18 from 1-3 pm! bedroom is huge and the 2nd is larger than most master bedrooms and has it's own private bath! You'll love the built-in beverage refrigerator, private laundry room, specialty dimmer switches and attention to detail throughout. If you're tired of looking at outdated, dark and marginal condos in Kirkwood then you'll be delighted to discover this charming home. It is perfectly centrally located and is equi-distant to all major highways including 40, 44 and 270. So no matter where you work it's sure to be a very short commute. The development is also in walking distance to downtown Kirkwood and the new shops in Des Peres including the state of the art brand new Schnucks and soon to be new Dierbergs with underground parking. Construction is also underway for the new specialty shops at the old Schnucks location. Talk about covenienece! are also available. And the condo fee includes water, sewer, trash, street and landscape maintenance, the pool and more! 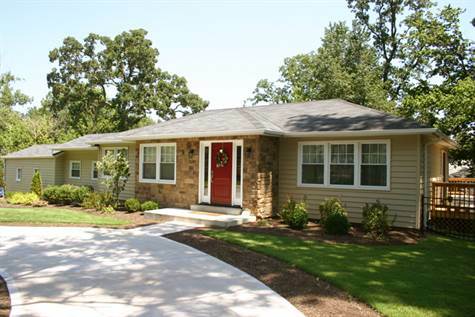 3 Bedroom Kirkwood Ranch Only $169,900! • 1,452 sq. ft., 2 bath, 3 bdrm single story "One Level Living!" - MLS® $169,900 - 3 Bedrooms Plus Office! Kirkwood, St. Louis County - Totally charming ranch located in one of Kirkwood's most darling streets designated as a "Neighborhood of Distinction" by the City of Kirkwood. You'll love the eclectic design, large rooms and open layout in this nearly 1500 square foot ranch. The home has 3 bedrooms AND an office to boot! Plenty of natural light throughout the home and a beautiful woodburning fireplace with blower for added warmth in the winter. The kitchen is cozy and totally charming with a breakfast nook as well as two pantry storage areas including the multi-purpose laundry/guest bath area. 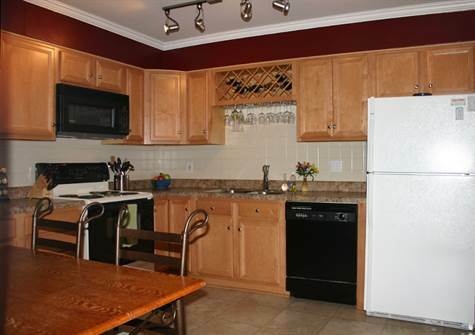 There are newer appliances including a microwave, gas range, and nearly brand new refrigerator. You'll enjoy summer barbeques on the fabulous shaded deck surrounded by a large level fenced yard. This is a truly walkable neighborhood with a private path to the high school at the end of the culdesac and Keysor Elementary is just around the corner. You can also walk to Kirkwood Park and the Majic Market for the worlds best gyros! Home also has a new roof (2009). Priced lower than anything else similar and nothing that is available on such a premier street. Don't miss the large storage space in the attic accessed through the garage. 13 Month Warranty! Ladue Trails, Chesterfield - Visit our open house at 14012 Cross Trails Drive on April 25 from 1:00 PM to 3:00 PM. 924 N. Geyer - Get ready for the baseball game and home tour at 924 N. Geyer on April 17 from 3:00 PM to 5:00 PM. 7 Hillcrest, Kirkwood - We invite everyone to visit our open house on April 3 from 1:00 PM to 3:00 PM. 924 N. Geyer, Kirkwood - We invite everyone to visit our open house on April 3 from 1:00 PM to 3:00 PM. 848 Yosemite, Glendale - Come by our open house on April 3 from 1:00 PM to 3:00 PM. 722 Huntwood, Kirkwood - We invite everyone to visit our open house on April 3 from 1:00 PM to 3:00 PM.